Nicole Wallace has studied voice with Joan Arnold, Rosamund Illing and, currently studies with Gary May. She first appeared in the role of Johanna in SWEENEY TODD for CLK THEATRE INC in 2003, then performed the role of Yum Yum in THE MIKADO for DICKSON ENTERTAINMENT in 2006. She sang the role of Micaela in CARMEN for BARBIRRA THEATRE in 2007 and for LYRIC OPERA OF MELBOURNE during 2008, she covered the lead role of Dido in DIDO & AENEAS and sang Suzanna in THE MARRIAGE OF FIGARO for MELBOURNE OPERA. Nicole Wallace was engaged by OPERA AUSTRALIA to appear in two consecutive years of its schools touring productions, singing the role of Aunty Bartola in THE BARBER OF SEVILLE during 2007 and the lead soprano role of Cinderella in CINDERELLA & CLORINDA in 2008. Her other stage roles have included Nellie Forbush in SOUTH PACIFIC for NOVA THEATRE, Minnie Fay in HELLO DOLLY for ALTONA THEATRE, Emma in SONG & DANCE for CATCHMENT PLAYERS and Anna in THE KING & I for LEADING DRAMATIC SOCIETY. 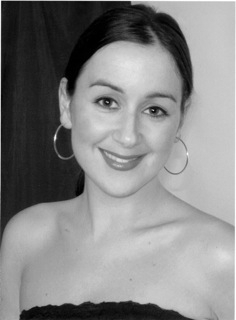 Nicole Wallace has an extensive experience on the concert stage, having been engaged as soprano soloist for performances of the Fauré REQUIEM by OUR LADY OF THE PINES SINGERS, for the JS Bach MAGNIFICAT and EASTER ORATORIO by ROYAL MELBOURNE PHILHARMONIC SOCIETY, for Haydn’s MISSA BREVIS IN F and Dvorak’s MASS IN D MAJOR by MONASH CHORALE and most recently, for Haydn’s CREATION by CAMBERWELL CHORALE in 2010. She has also been engaged as a soloist for the LORD MAYOR’S CHARITABLE TRUST LUNCHEON at MELBOURNE TOWN HALL, for concerts arranged by MORE THAN OPERA, by OPERA VIVENTE and the ROBERT STOLZ SOCIETY and has appeared as soloist for the LA NUIT DE L’OPERA AU CIRQUE BALL at CROWN PALLADIUM BALLROOM in Melbourne, at the RED BALL, was guest soprano soloist at the MELBOURNE FOOD & WINE FESTIVAL gala ball, invited to sing the National Anthem for the 2012 AUSTRALIA DAY BREAKFAST at GOVERNMENT HOUSE, Melbourne and has made guest appearances with the AUSTRALIAN POPS ORCHESTRA. She also appeared as soprano soloist in a series of gala opera concerts in China during late-2010 and returned in 2013 for some twenty performances of CARMEN excerpts and operatic highlights. Nicole Wallace‘s roles for MELBOURNE OPERA include Frasquita in CARMEN and Despina in COSI FAN TUTTI and for MELBOURNE LYRIC OPERA, Yvette in LA RONDINE and Susanna in Breton’s zarzuela opera, LA VERBENE DE LA PALOMA. She appeared in OPERA AUSTRALIA’s 2012 Melbourne season of THE MERRY WIDOW, playing the role of Dodo, one of The Grisettes. Most recently she has appeared in opera concerts with the MAROONDAH SYMPHONY ORCHESTRA in Melbourne and in a season of David Kram’s BRUNHILDE SAVES THE WORLD for OPERA AUSTRALIA, singing excerpts from various soprano roles of Wagner’s RING CYCLE operas.